Get everything you need in Rockland County to satisfy your defensive driving requirement and earn your point reduction eligibility and insurance discount privileges. Rockland County Defensive Driving is the simple way to receive a 10% auto insurance reduction for 3 years and reduce up to four points on your driver's license record. When you partake in NewYorkTrafficSchool.com's Rockland County Defensive Driving program, you become eligible to reduce as many as 4 points from your Rockland County driving record. The NYS DMV will automatically receive notice of your point reduction eligibility and you will also qualify for a mandatory 10% rate of insuring an automobile discount. Point reduction only works for applicable traffic violations that happened within eighteen months of your program completion date. Defensive driving for point reduction, in Rockland County, cannot be used to reduce points you receive from traffic tickets you may receive in the future. 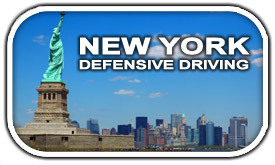 NewYorkTrafficSchool.com is committed to providing you more than just a wonderful defensive driving program. We also pay special attention to the needs of our students as they complete the program, from beginning to end. Talk to our helpful staff in Rockland County and they will be happy to assist! 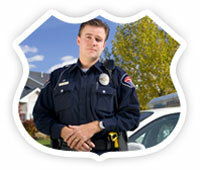 Our Rockland County Defensive Driving courses are engineered to help you meet all of your NY DMV needs. Whether you are looking to reduce points on your driver record or to keep your automobile insurance from escalating, NewYorkTrafficSchool.com is committed to you! Any defensive driving or traffic-school program you finish in Rockland County to receive point reduction and a mandatory 10% insurance savings must be a minimum of 5-hrs and 20 minutes long in instruction time. All of NewYorkTrafficSchool.com's New York Defensive Driving programs meet this requisite. Pay for your Rockland County defensive driving class with one of our easy payment methods: we accept payment online with Visa, MasterCard, Discover, or American Express!